Italy were the big winners in the latest Champions League carve-up. Mediocre, over-rated, entitled Italy. UEFA’s decision to award the four biggest leagues in Europe four guaranteed entries in the group stage in future will have minimal effect in Spain, England and Germany. But in Italy it’s a lottery win. At least lottery millionaires have got off their backsides and bought a ticket, though. It’s more than Italian clubs have done in Europe lately. At the moment, Italy get three Champions League places — except they don’t, because they’re not good enough. They start off with three, end up with two — because the third-placed team is invariably knocked out at the qualifying stage. An Italian team has been eliminated in the play-off round in six of the last seven seasons — so by what reasoning are we now finding room for even more inferior Serie A sides in what is meant to be an elite competition? The tie of the play-off round this year was Porto versus Roma — except Roma were utterly ill-disciplined, had two men sent off and were brushed aside 3-0 in Tuesday’s second leg at home. Dundalk and Hapoel Beer Sheva were closer to qualifying. Before that, Lazio lost to Bayer Leverkusen and Napoli to Athletic Bilbao; Udinese went out to Sporting Braga on penalties in 2012 and to Arsenal in 2011 and Werder Bremen beat Sampdoria in 2010. It leaves AC Milan’s 4-1 aggregate win over PSV Eindhoven in 2013 as Italy’s sole play-off success this decade. No wonder their lame duck also-rans want protection. The play-off losers go into the Europa League but it is not as if Italian clubs have greater pedigree there. Of the five most recent arrivals from the Champions League play-off stage only one, Napoli in 2014-15, has made it past the last 16, falling to Dnipro Dnipropetrovsk in the semi-finals. Of the rest, Lazio and Udinese were eliminated in the last 16 by Sparta Prague and AZ Alkmaar, and Sampdoria came third in Group I in 2010-11, behind PSV Eindhoven and Metalist Kharkiv, and in 2012-13, Udinese finished bottom of Group A behind Liverpool, Anzhi Makhachkala and Young Boys. Nothing in recent years suggests the third or fourth best team in Italy are fitting recipients of guaranteed entry to the Champions League. Juventus are outliers, carrying Italian football right now. There has been widespread alarm that half of the 32 group-stage places will now go to just four nations, but the ratio has not been far from that for many years. Since 2009-10, when the play-off round was introduced, the elite quartet of La Liga, the Premier League, the Bundesliga and Serie A have had the potential to take up 15 teams each season, minimum, and 16 in the last two years. The most they have successfully entered is 15 on three occasions and the lowest number is 13, twice. With Sevilla winning the Europa League, Spain would have had five teams in the groups this season, had Villarreal not lost to Monaco in the play-offs. Yet Spain, England and Germany usually hold their end up. Italy do not. The swindle in the new arrangement is the pressure applied by failing Italian clubs, particularly those in Milan, who have been agitating for UEFA to hand out wild cards for ‘historical’ success. Having fallen hugely behind Juventus domestically, and the rest of Europe financially, they were threatening breakaways and revolution, unless a way could be found back to the top table. This new set-up is being advanced as the least worst option — but it is still a tawdry capitulation by rudderless UEFA, promising the clubs even greater shares of revenue, and expanding Italian influence when Serie A’s representatives have long ceased being a collective force in Europe. Instead of seeking fairer wealth distribution to keep domestic competition strong, UEFA have again bought into more inequality, more mediocrity, and favoured the wealthy and established. In doing so, they have again devalued a prestige competition. If the third best team in Italy isn’t good enough for the Champions League, what price the fourth? Progress in the Europa League was worth £2million to West Ham, peanuts compared to the financial benefit of Premier League survival. Yet Slaven Bilic looked utterly despondent after losing to Astra Giurgiu on Thursday — and with good reason. 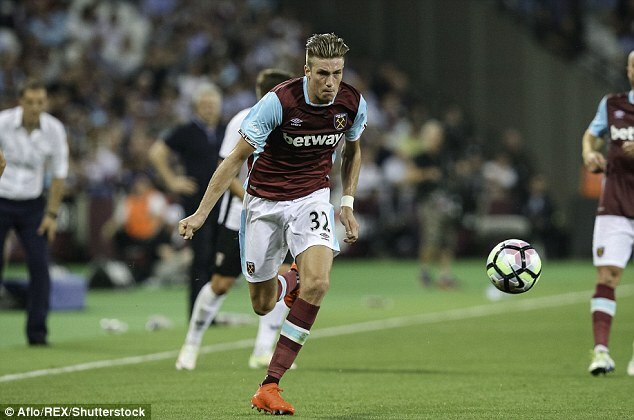 The Europa League afforded Harry Kane his big break for Tottenham, then did the same for Marcus Rashford at Manchester United — and Bilic had undoubtedly earmarked West Ham’s rising stars such as Reece Oxford and Reece Burke for the competition this season. With the financial significance of the Premier League it is hard to gamble on youth in domestic matches, making it harder for Bilic to keep everyone happy. Burke, for instance, now looks certain to go out on loan. On the day the Olympics began, the International Weightlifting Federation already knew China should not be there. By then, they were aware that Cao Lei, Liu Chunhong and Chen Xiexia — all medallists from Beijing in 2008 — had failed drugs tests when their samples were re-analysed. The IWF had stated in June that any nation totting up three or more positives from the combined review of Beijing and London 2012 would be punished with a 12-month ban. So what went wrong? This is where the dismal International Olympic Committee come in. Procedurally, although the IWF knew the identity of the cheating athletes, and although they knew China should be suspended, they had to wait for the IOC to officially sanction the offenders, for the case to be closed. While it remained open, the IWF could not act — meaning China were allowed to participate in Rio, topping the weightlifting table with five golds and two silver medals. They have been the best weightlifters for five Olympics straight now — all the way back to Sydney in 2000 — so the IOC must have suspected this travesty could happen. 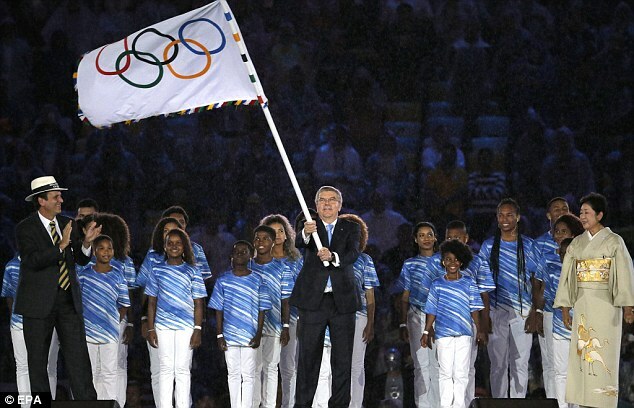 The euphoria around Team GB’s performance has masked a lot of negativity about the Olympics this summer, not least that the Olympic governing body as good as conspired to stop an individual federation banning cheats from its sport. The IOC truly are a despicable organisation. The Olympics endures despite them. Divock Origi entered the game and the camera caught Daniel Sturridge looking somewhere between lost and livid. He couldn’t claim one of three starting places for forwards in Liverpool’s team, and now he wasn’t even the first thought off the bench. By the time Sturridge did get his chance, two minutes of normal time remained. He may have to get used to it. What is becoming very clear is that Roberto Firmino is the man Jurgen Klopp sees as best implementing Liverpool’s high press. Without doubt, a key strategy for Liverpool this season is to win the ball in advanced positions. Among the forwards, Firmino is the most relentless in doing that — he sets the example for the rest of the team to follow. Equally, Liverpool will attack the defender Klopp identifies as the weakest passer — and, again, it is Firmino’s job to close him down as quickly as possible, in the hope he panics and concedes possession. Firmino averages more successful tackles than any other Liverpool forward this season — even more than the famously hard-working Luis Suarez did in his final year at the club. If Sturridge is to get his place back, it will have to be ahead of Sadio Mane; Firmino is as crucial to Klopp’s plans as Suarez was to Brendan Rodgers. 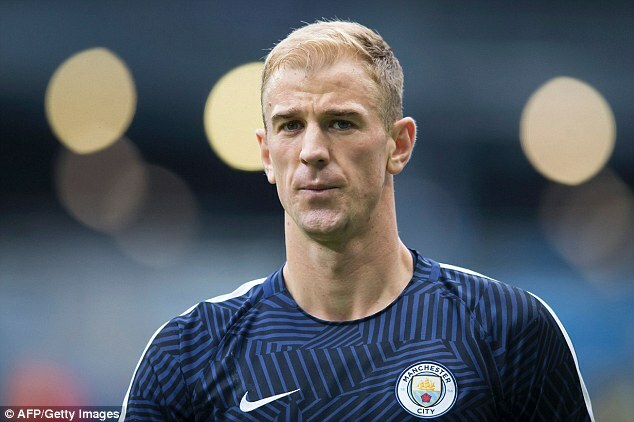 Speak to just about anyone at Manchester City and there is no doubt they are saddened by the parting with Joe Hart this summer. Hart meant much more to the club than the average player. There have been wonderful times with Yaya Toure in the side, but nobody is greatly upset that he does not appear part of Pep Guardiola’s plans; the same with Samir Nasri, or Eliaquim Mangala. Even had a new coach arrived and taken against a popular figure such as David Silva, there would have been little protest. Juan Mata was well regarded at Chelsea, but when he didn’t chime with Jose Mourinho, it was understood. The manager picks the team, the manager makes the calls. Only a fool would argue that Guardiola hasn’t earned the right to choose his goalkeeper. Yet Hart was special to City. He was as near to a homegrown player as the club has, right now. He may have spent his formative years at Shrewsbury but his 10 years at City made him their longest-serving first-team player — and he is English. Without him, that mantle falls to Raheem Sterling, who arrived on July 14 last year. Plus, the fans can’t see what Hart has done wrong. Guardiola may want every player to be a midfielder, but the locals like old-fashioned goalkeepers, too, and Hart was a damn good one. He was outstanding for City in Europe on many occasions. It is his misfortune that a coach has arrived with a specific model in mind. Just about any successor to Manuel Pellegrini would have kept faith with Hart — but a great many respected contemporaries at rival clubs would have been in similar trouble had Guardiola arrived. At Chelsea, for instance, it is quite possible he would have jettisoned Thibaut Courtois the same way; and at Arsenal, Petr Cech. It will be interesting to see whether Guardiola tries to shape Angus Gunn, 20 and the son of former Norwich goalkeeper Bryan, into another Claudio Bravo or Manuel Neuer. It will certainly be easier than teaching Hart new tricks. There is now talk of a loan move to Torino, and Sunderland remain an option in the Premier League. Sadly, their ambitious interest only shows how misguided David Moyes was to talk of being in a relegation fight two games into the new season. How is he to sell Sunderland to Hart now? ‘Come and join us, Joe, in our grim, unrelenting battle for survival. This is a club that’s going places — hopefully not the Championship.’ No wonder he needs some persuading. 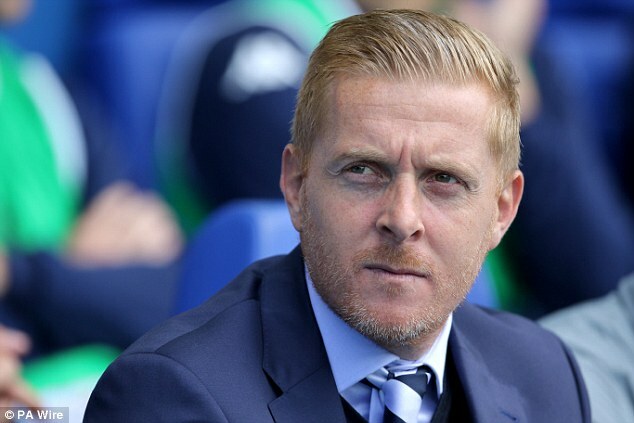 Leeds lost at the weekend and are one place above the Championship relegation zone, so there is now predictable speculation around the future of Garry Monk. Once already this season he has felt it necessary to make a public plea for more time from owner Massimo Cellino. It is demeaning for managers to work so permanently at risk. Cellino has sacked six coaches in just over two years, so why Monk accepted the position, heaven knows. At Swansea, he was considered bright enough to be monitored by the Football Association as a potential England manager. Now he is at the mercy of the least faithful employer in the Championship, at a club where his reputation could be ruined. He was better than that. Everybody is. 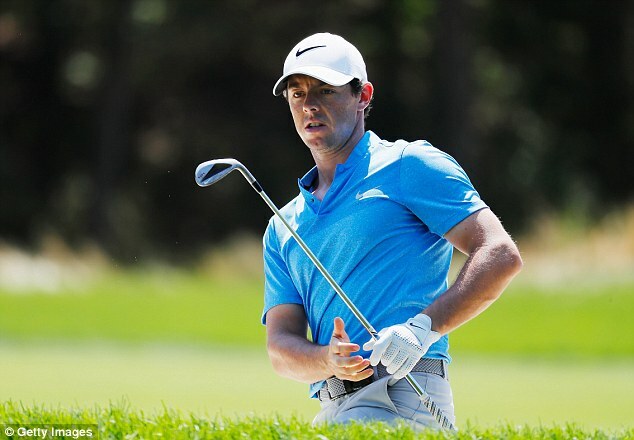 Rory McIlroy said he was happy to be proved wrong about golf at the Olympics — but he wasn’t, really. Golf was a success in Rio because Justin Rose was a gold medallist in Rio, meaning that over here at least the sport was packaged with the positive narrative that was Team GB. Rose, and his team-mate Danny Willett, were also a credit to the sport, embracing the Olympic occasion and doing all they could to show that golf belonged. Beyond these shores, however, did that message get through? By the time Rose won gold, the GB bandwagon was unstoppable, so it seemed churlish to mention that all of the top four, and six of the top 10 were absent in Rio. When Rose won the US Open at Merion in 2013, he beat the world’s best. Breathing down his neck in the final round were Jason Day and Phil Mickelson. It was still a huge achievement for Rose to win in Brazil, but when McIlroy originally spoke of watching the sports that mattered in Rio, he was right to separate golf. A 100 metres race that didn’t include Usain Bolt, Justin Gatlin, Yohan Blake, Trayvon Bromell or Andre De Grasse wouldn’t be considered much of an event; and no amount of pride in Rose’s win can mask the weakness in golf’s field. The only way McIlroy can be proven wrong is if the world’s top golfers — all of them — treat Olympic competition seriously in Japan, and attend. Otherwise, it is doomed, long term. 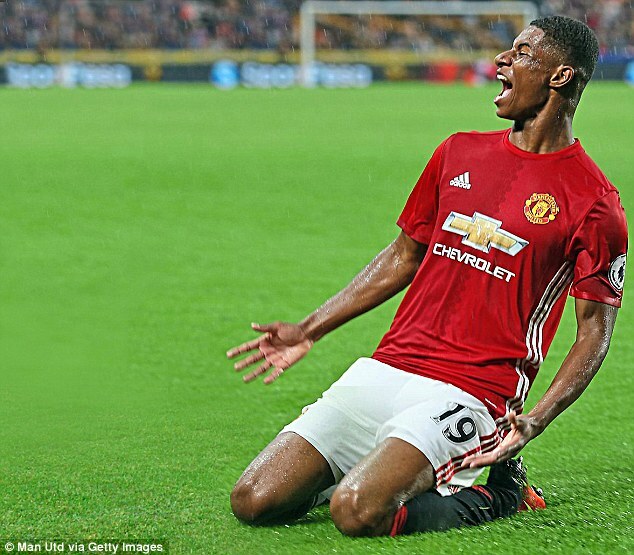 Sam Allardyce has missed a trick with Marcus Rashford. Looking at the impact he made at Hull on Saturday, England’s best forward partnership right now would pair him with Wayne Rooney, at No 10. Rooney has scored, or assisted, in every Manchester United game so far. Allardyce did not name his squad until Sunday night, to leave maximum room for manoeuvre — but by placing Rashford in the Under 21 team on Friday, he was trapped. Rashford looked considerably livelier than Harry Kane for Tottenham against Liverpool and one wonders whether Allardyce now regrets that early call. If not, he should.